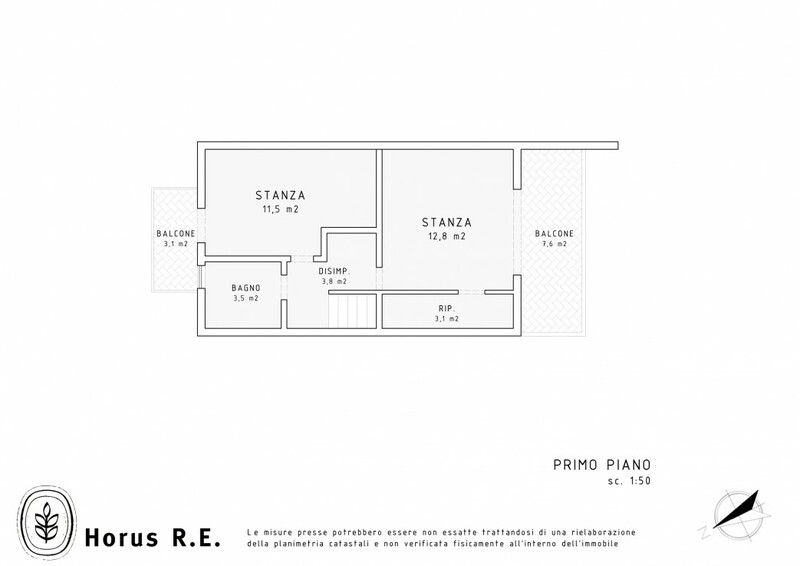 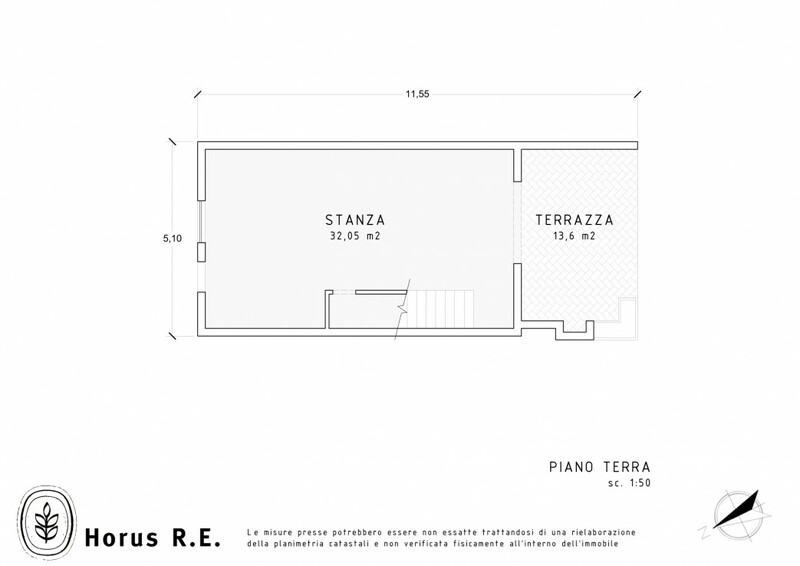 Tenno - Duplex in residence with swimming pool - Horus R.E. 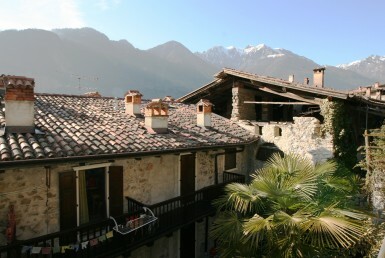 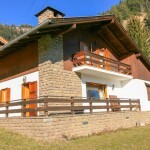 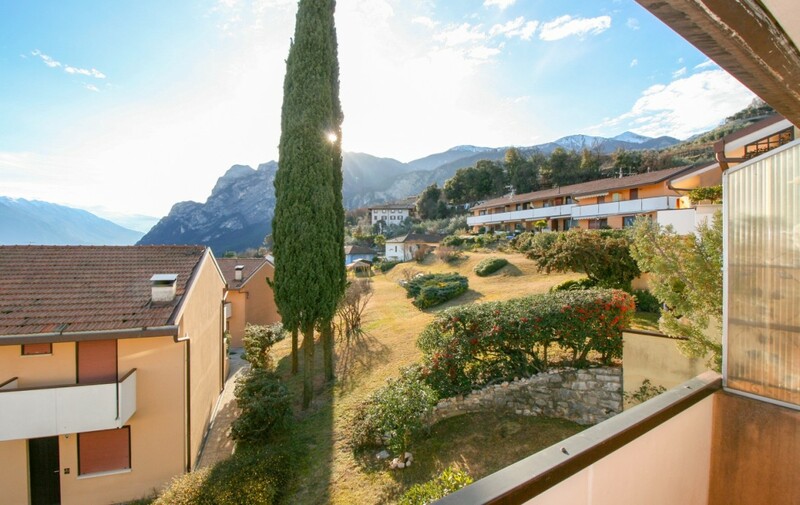 Imagine the hill above Garda Lake, the mild climate typical of the area, the olive trees, the palm trees and the rich vegetation, think of large green areas, a swimming pool overlooking the lake, the tranquillity of a spring afternoon spent comfortably on deckchairs in the garden of your home. 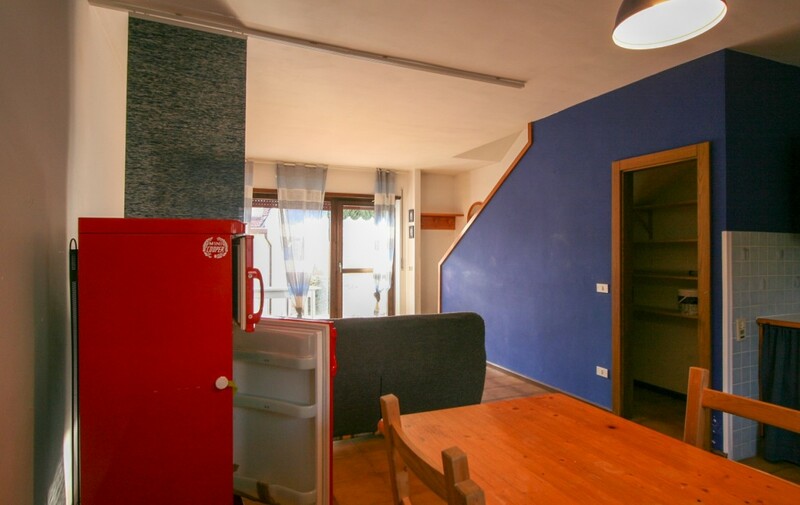 There are few of us who at least once did not want to live this scene but for one reason or another have never found the ideal place, but this could be the right opportunity. 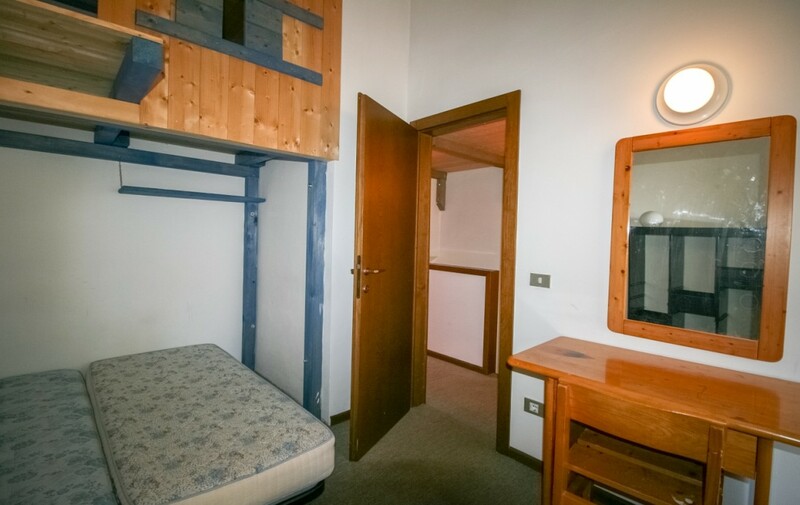 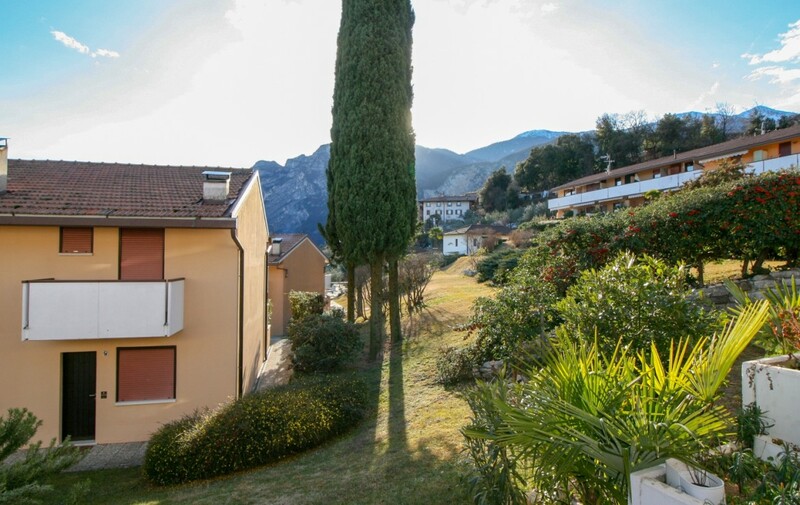 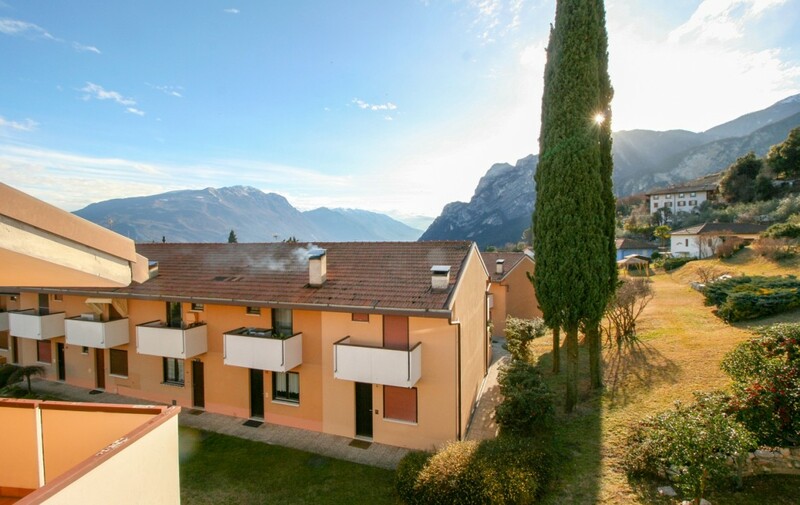 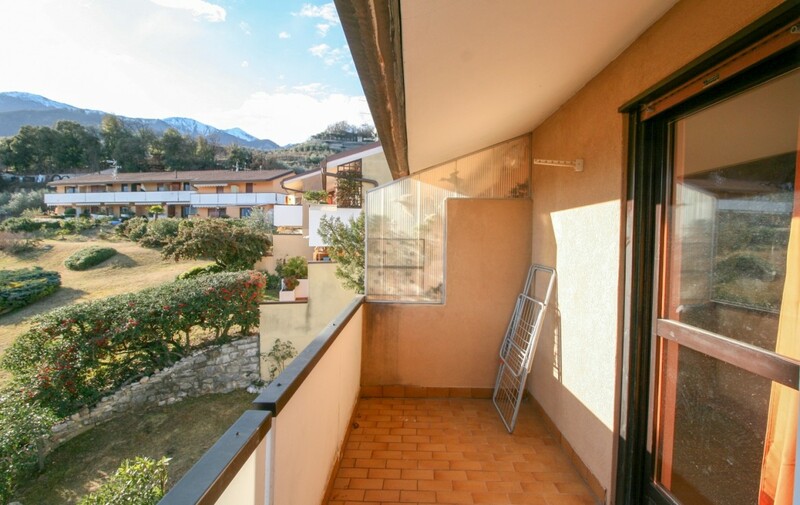 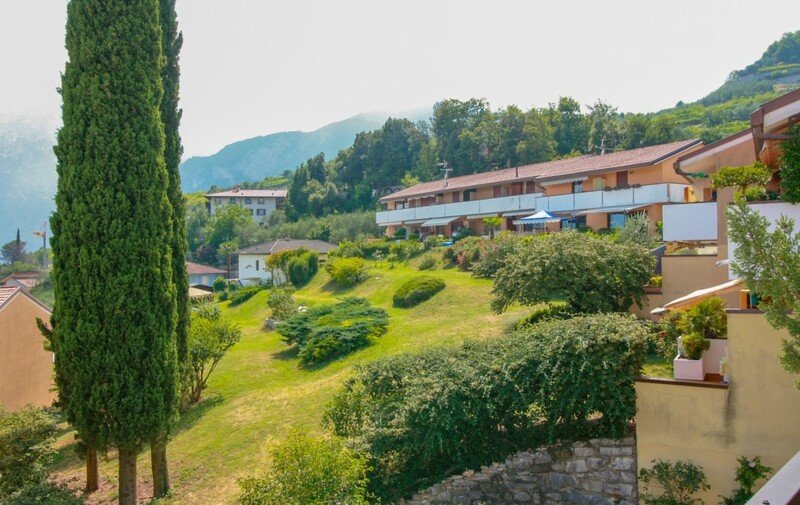 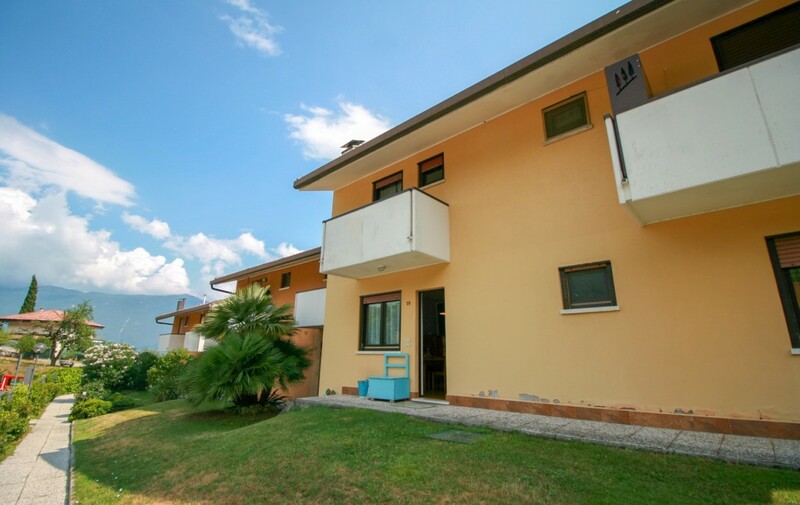 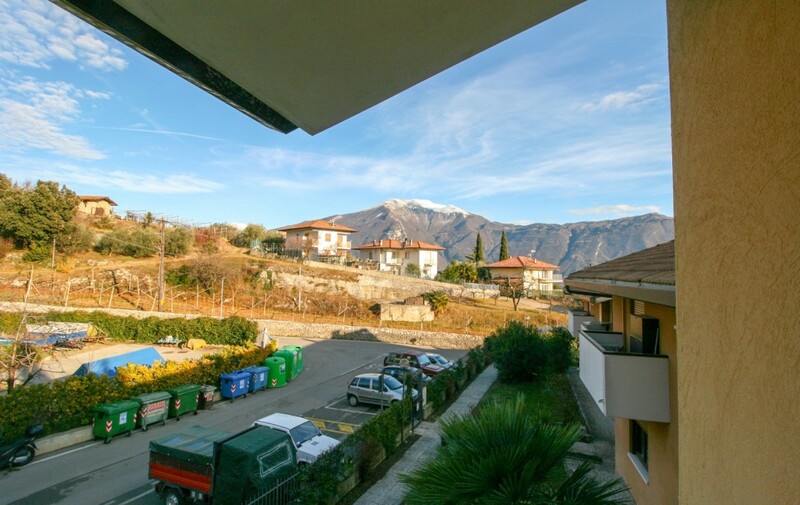 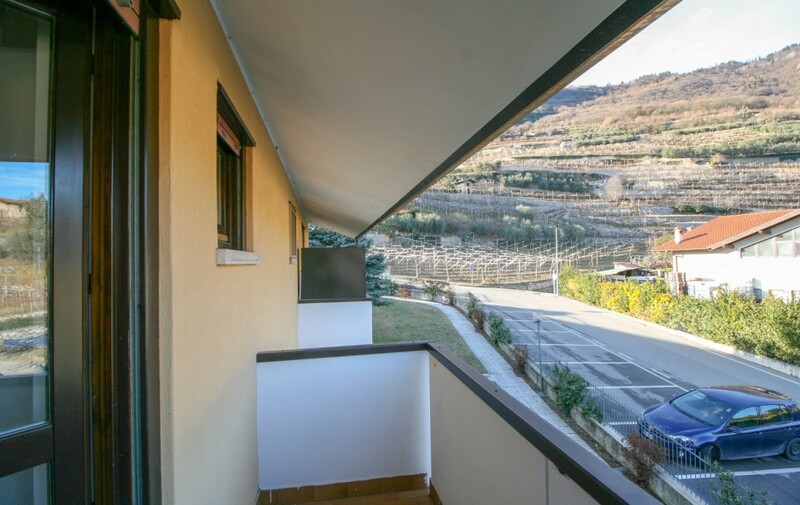 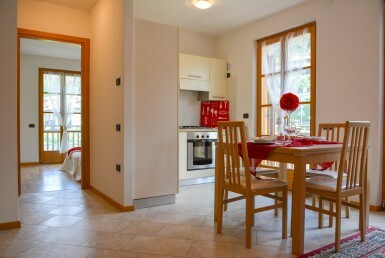 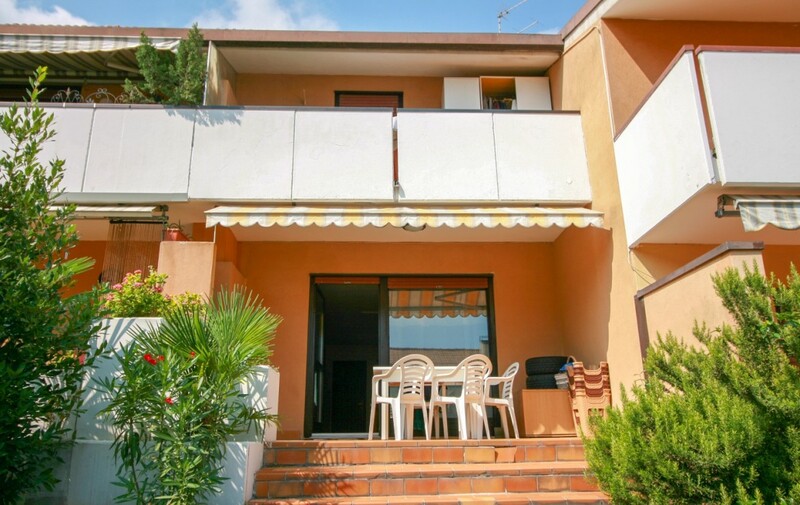 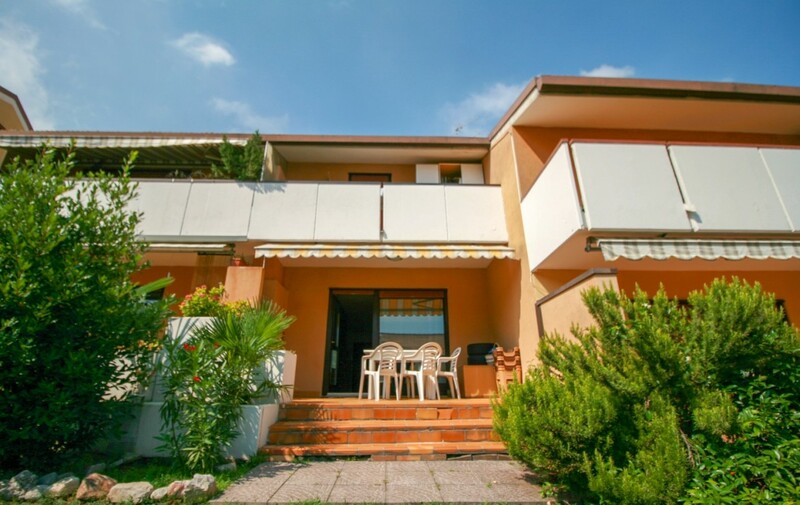 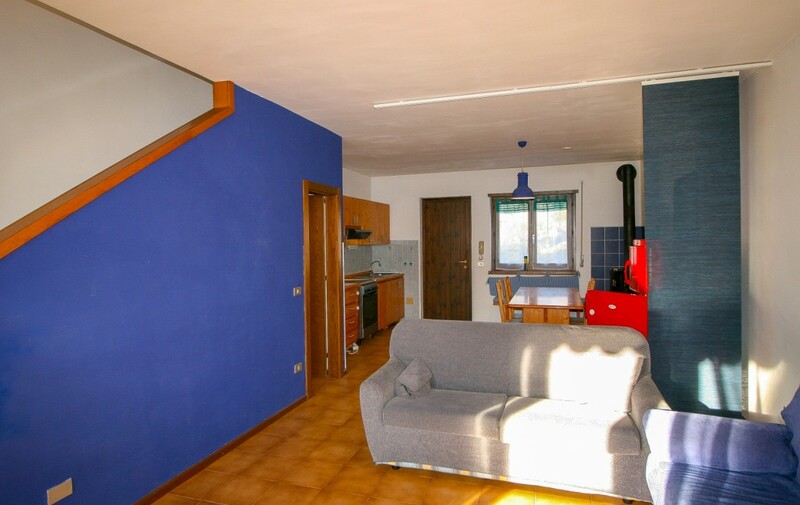 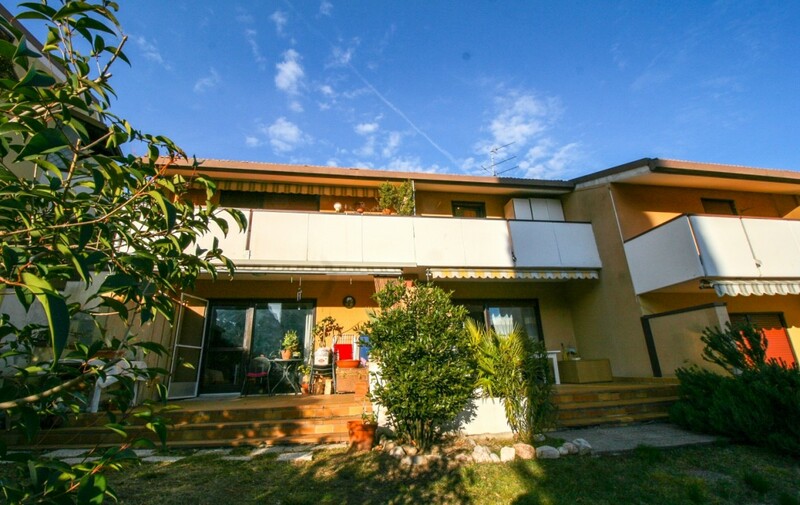 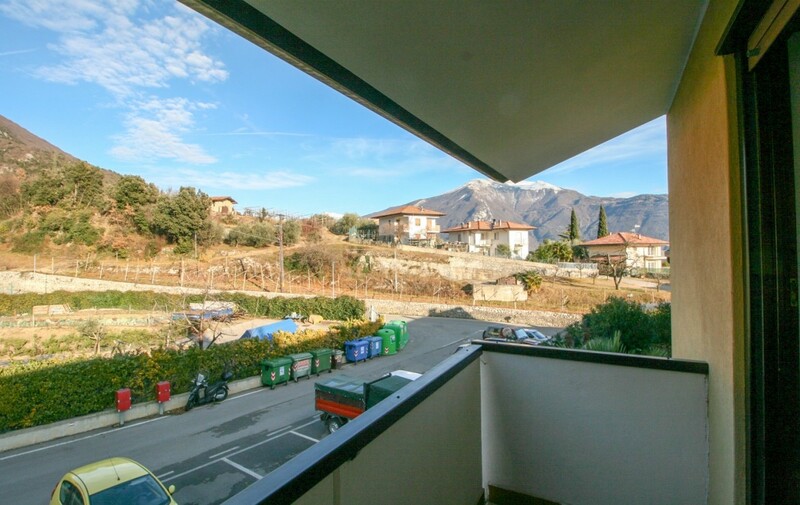 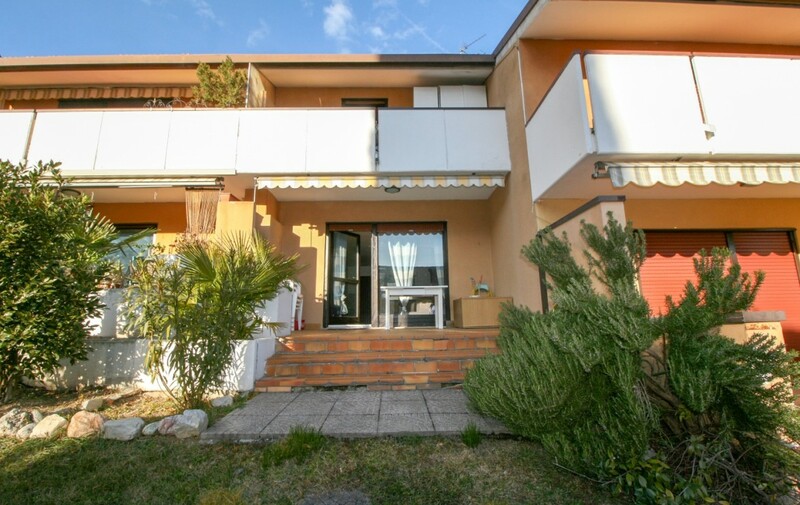 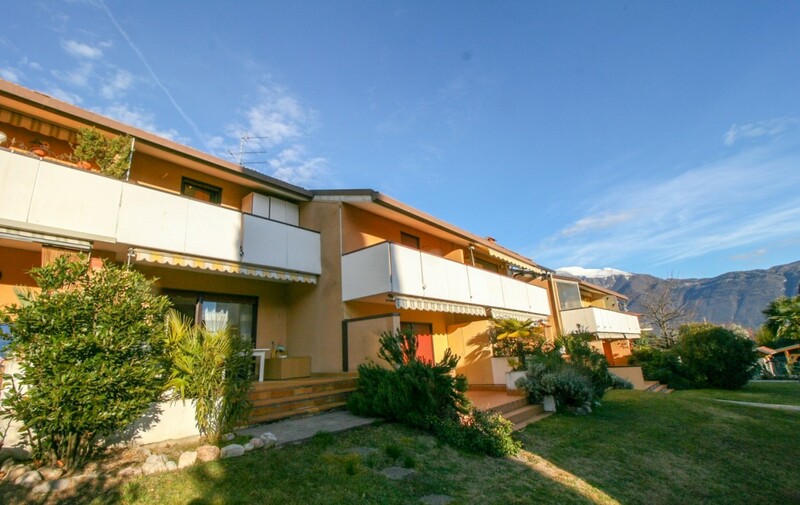 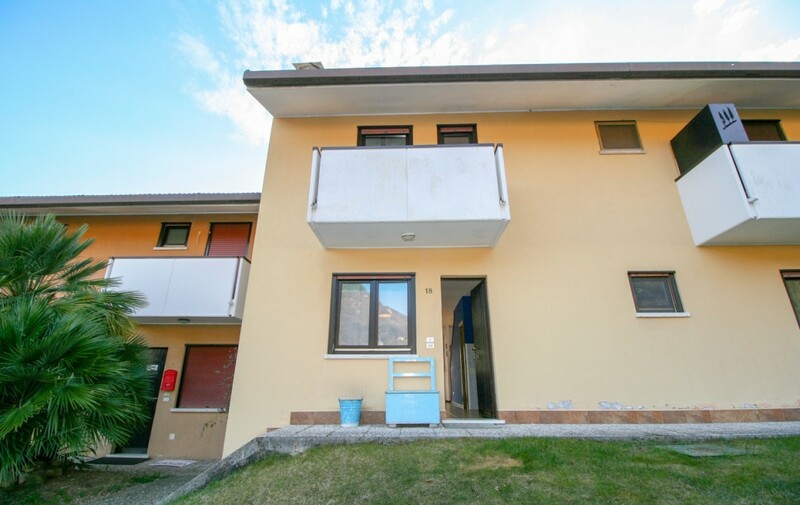 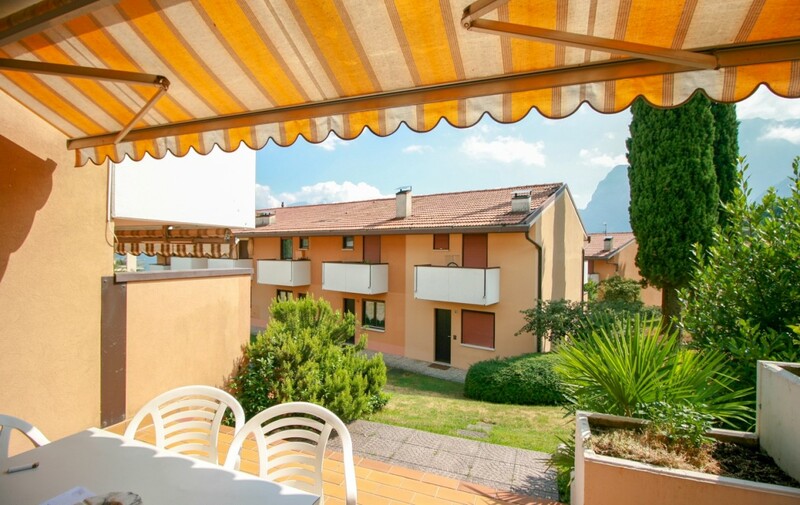 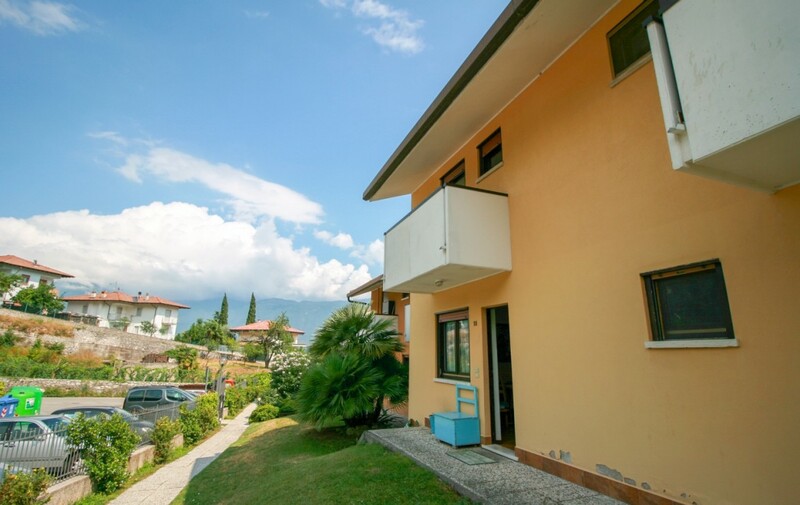 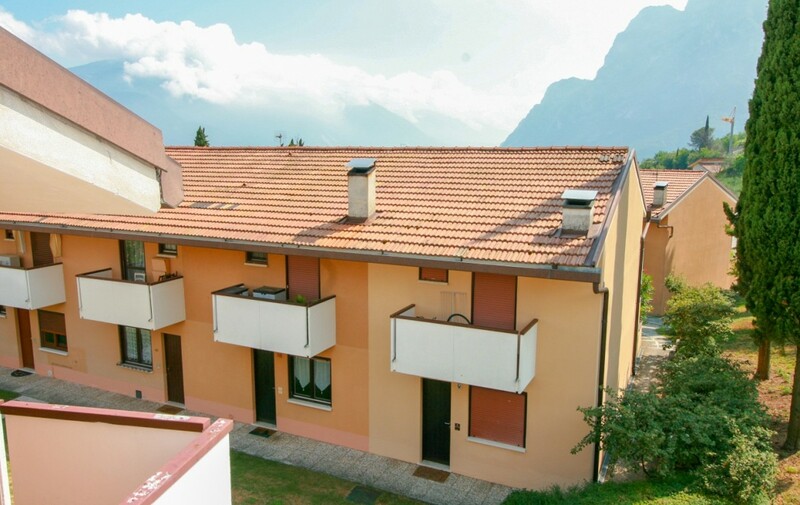 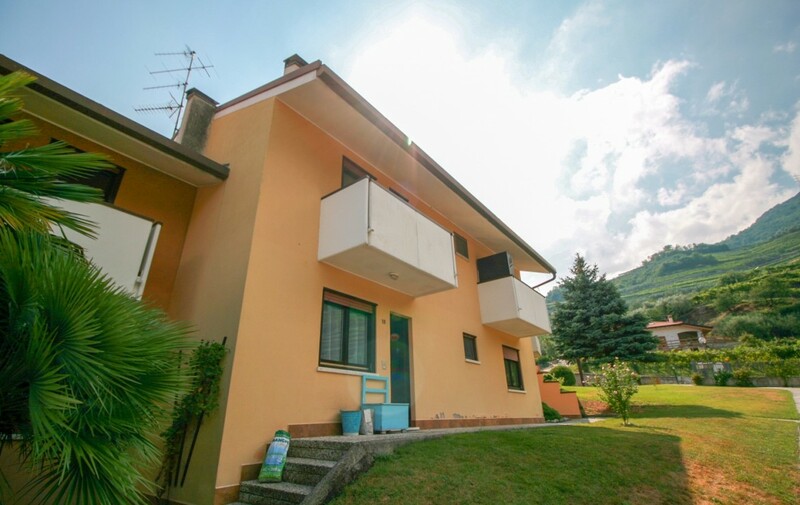 We are located in Tenno, on the hill above Riva del Garda, in a residence with a large condominium park where you can enjoy the view of the lake from the swimming pool, recently renewed. 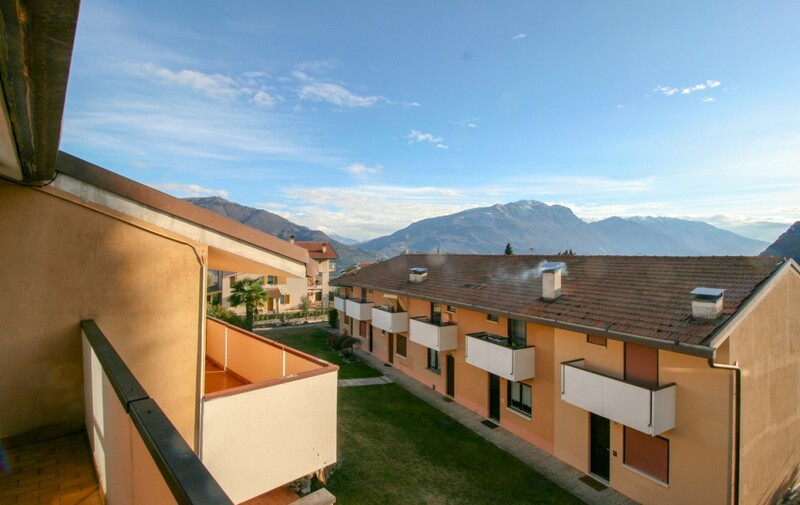 The buildings are arranged in an orderly and airy way so as not to compromise the privacy of those who live there. 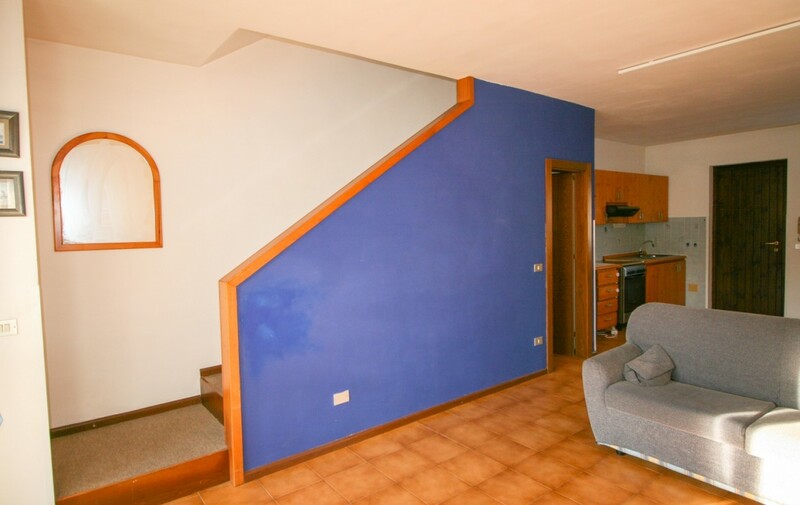 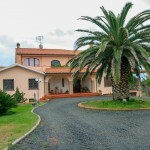 The architectural typology is that of the terraced houses arranged on two floors, where on the ground floor we generally find the living area with the exit to the garden and to the first floor, the sleeping area. 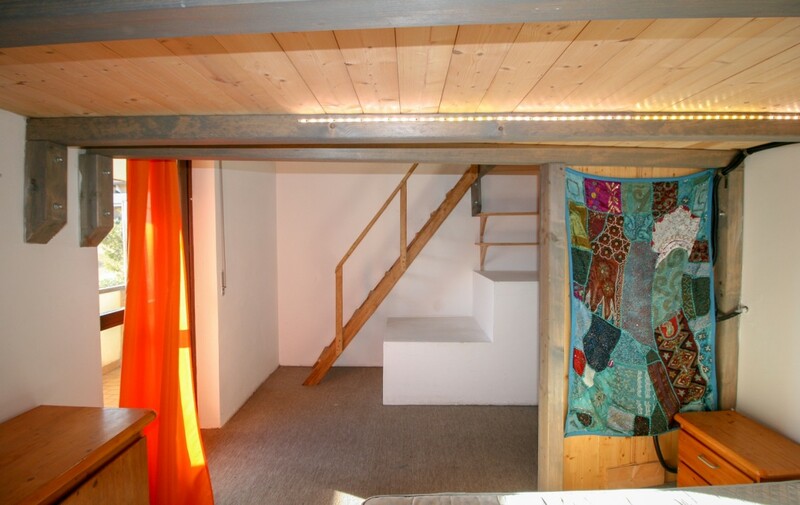 The access takes place on the ground floor that leads us into a large rectangular room. 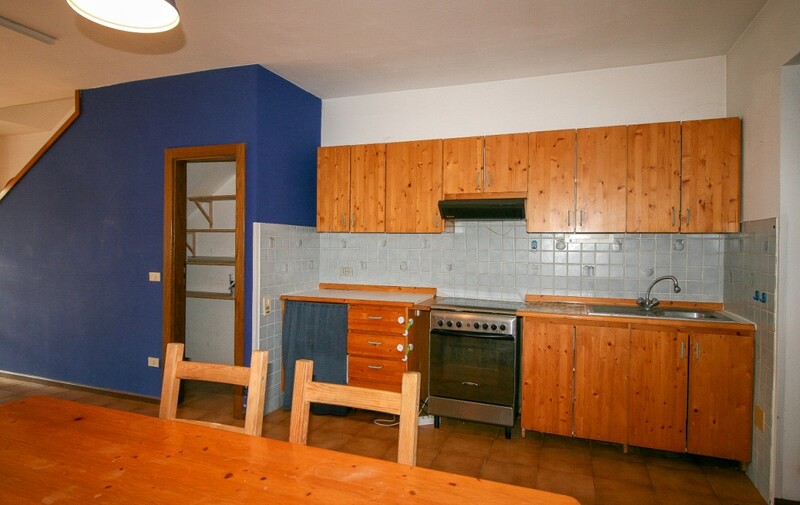 In the first half, on the right side, there is the cooking area and on the left one, there is a table that can comfortably accommodate 6 people. 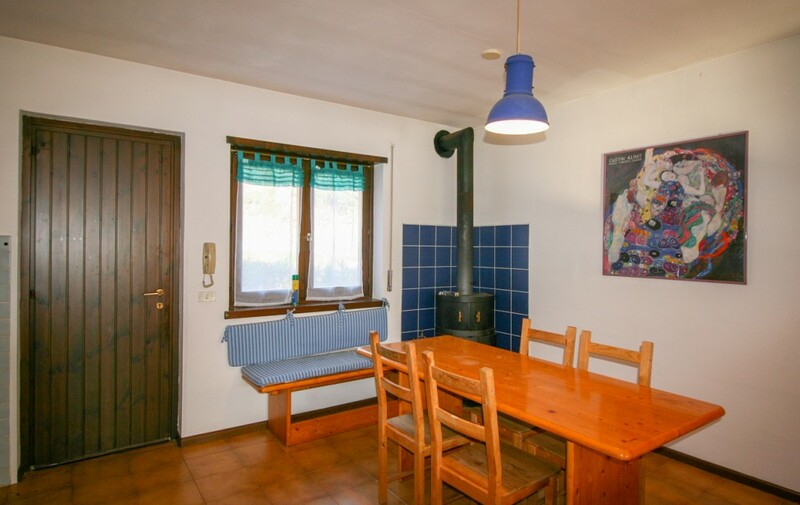 In the corner, there is a wood stove with which to heat widely the whole floor. 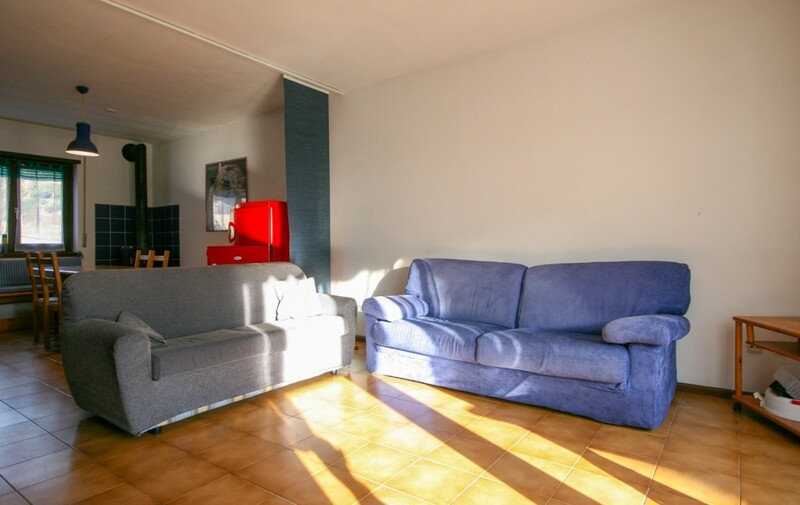 The other half is occupied by the two sofas, one to three and one to two seats facing the french-window wall that overlooks the external terrace and from there to the large communal garden. 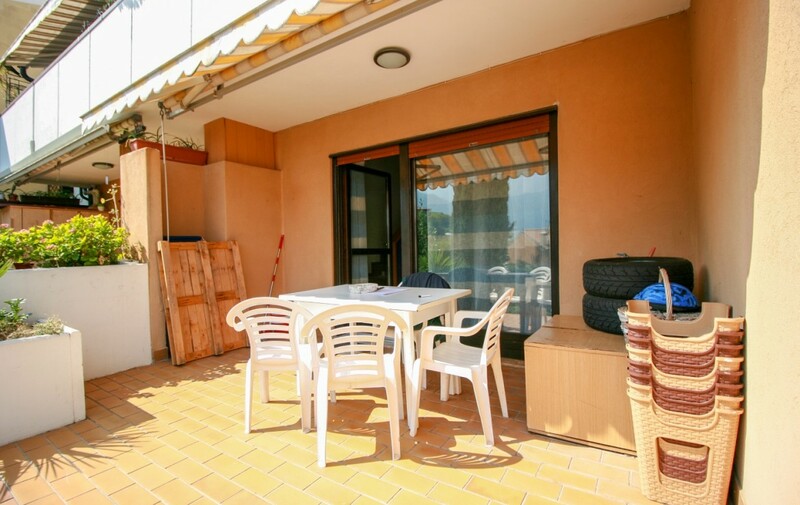 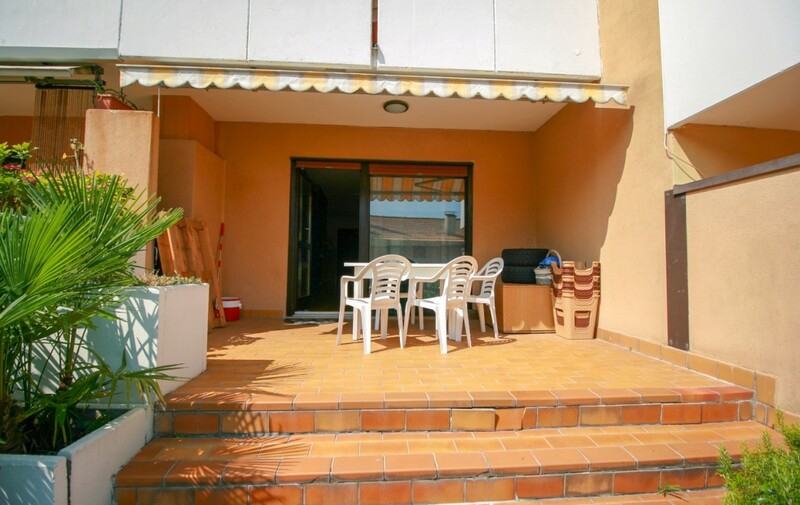 The private area of over 13 square meters is a perfect space to eat and relax in the sun during the summer. 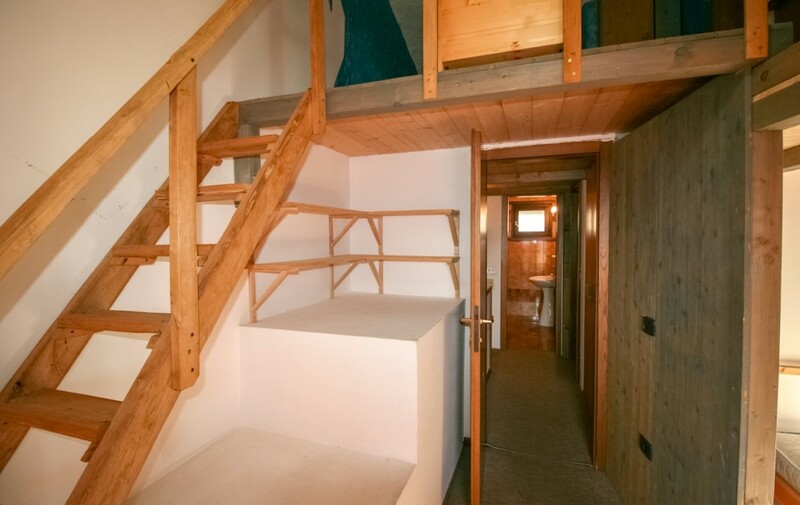 Climbing the stairs, positioned adjacent to the wall, we reach the sleeping area, here in addition to the bathroom, we find the two bedrooms, both with the exit to the balcony. 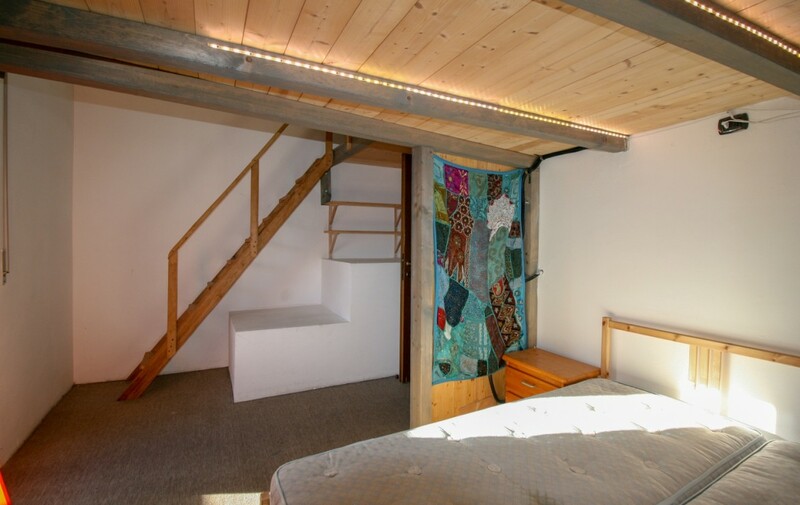 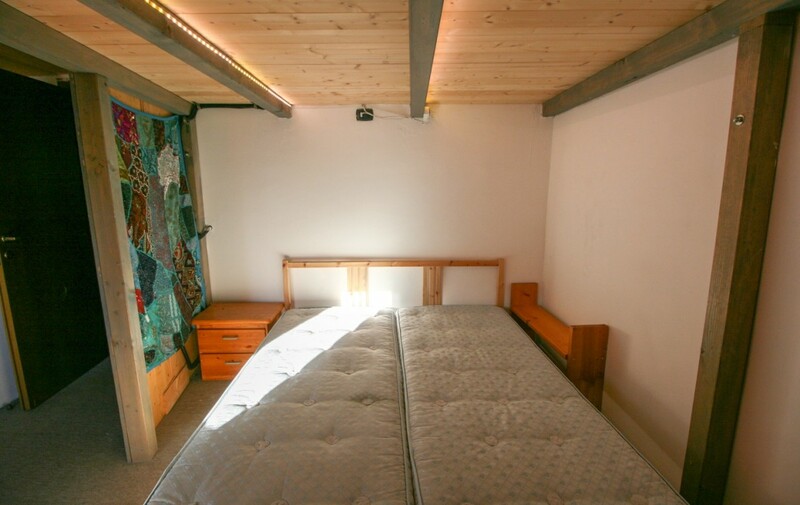 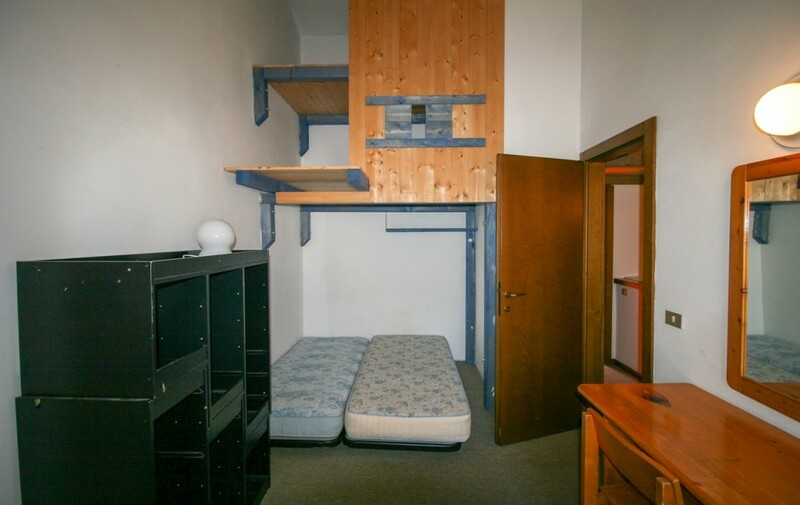 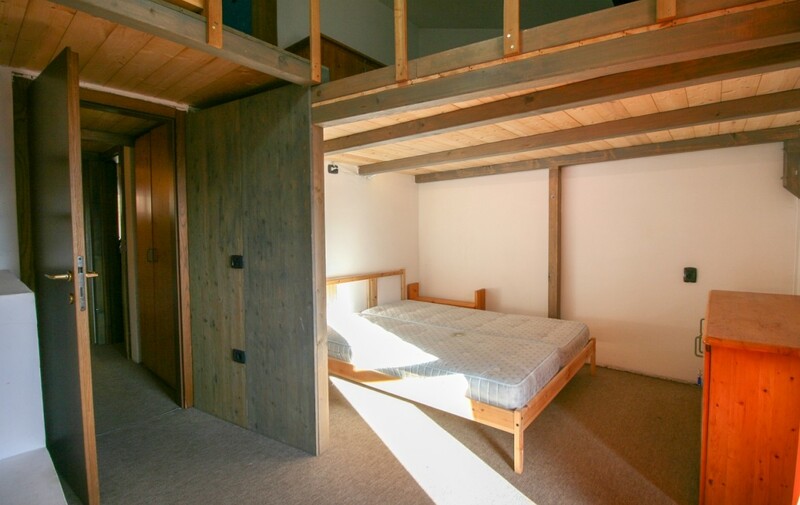 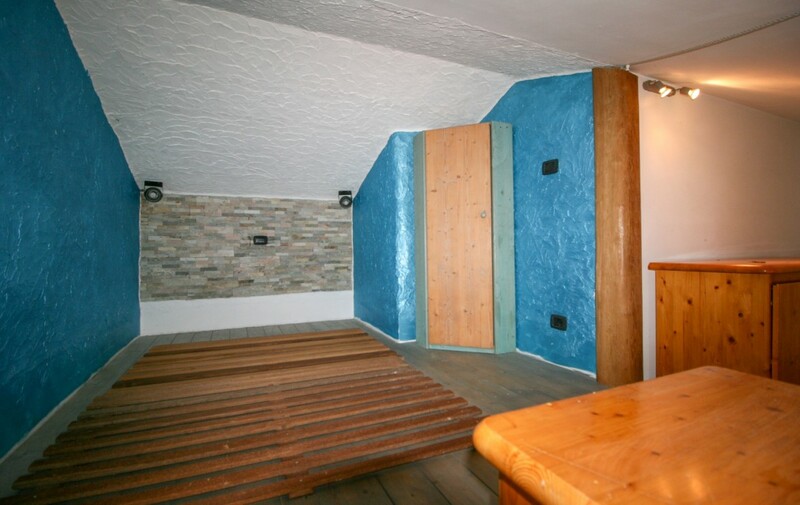 In the two rooms, the internal height made it possible to optimize the spaces with two wooden and steel mezzanines. 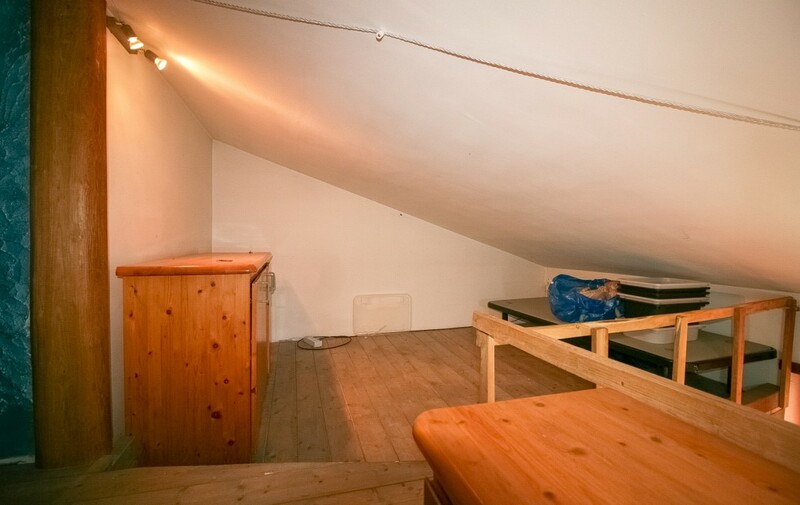 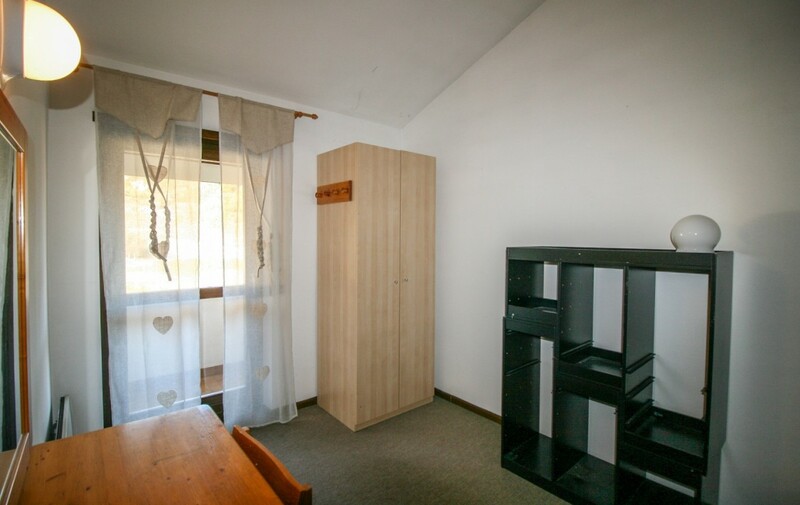 A small closet in the smallest room, almost livable space in the larger one. 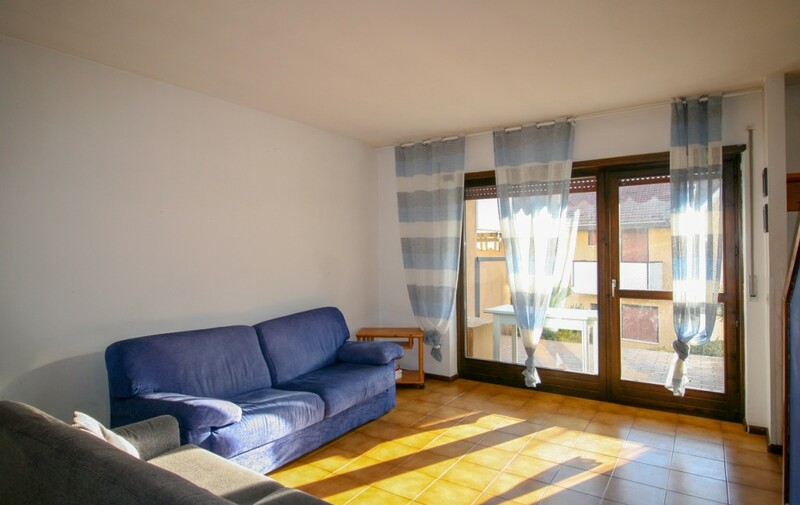 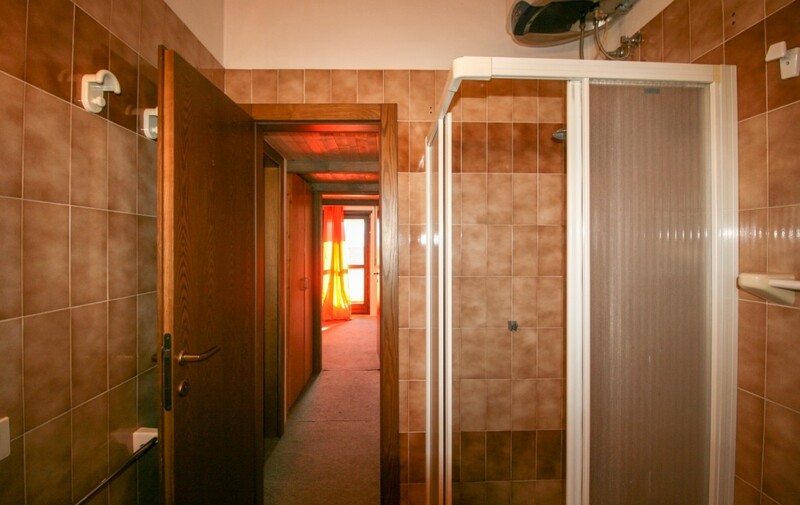 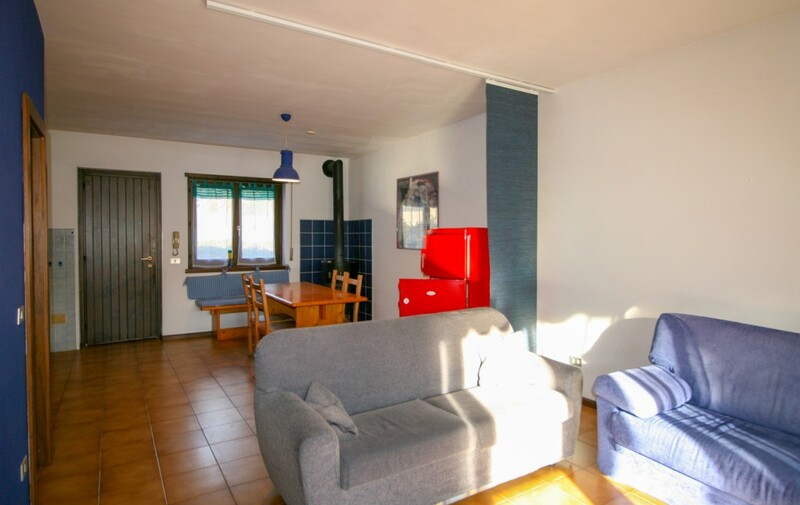 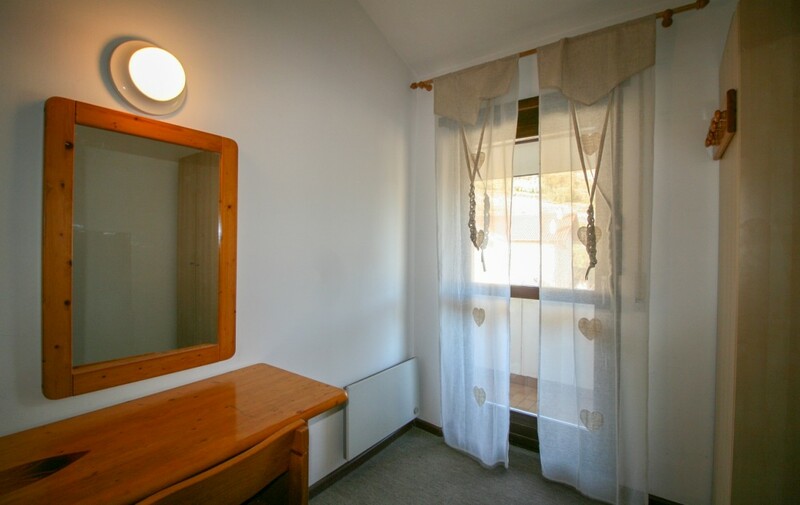 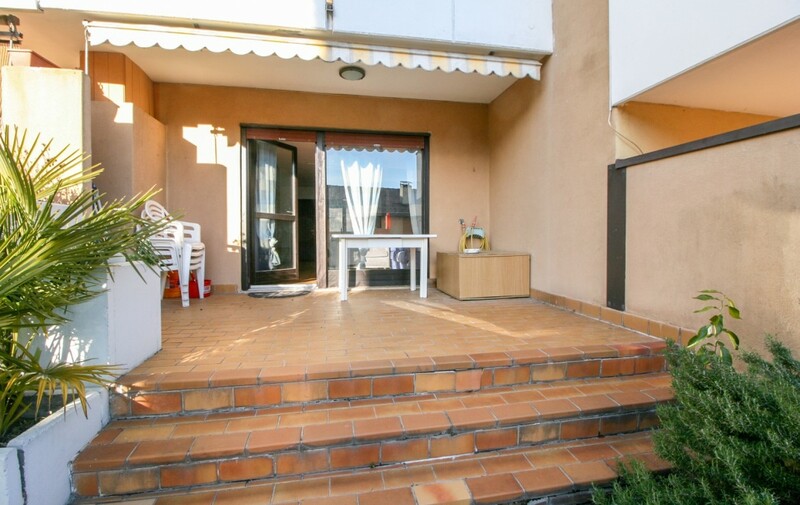 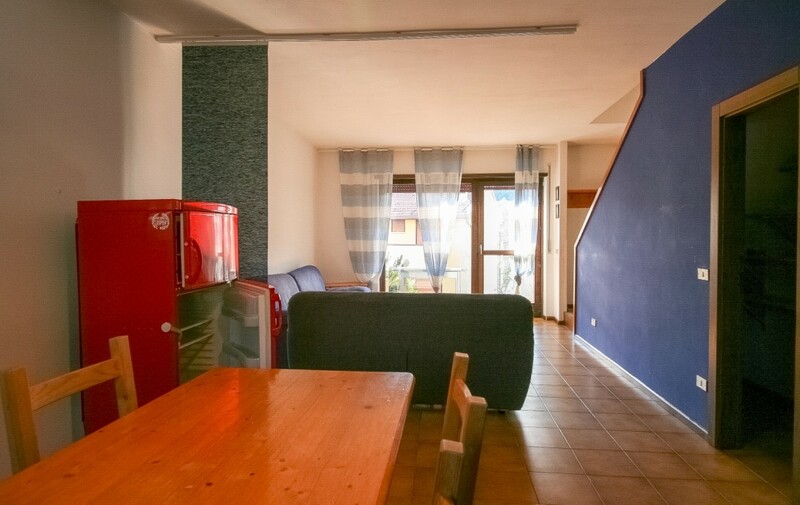 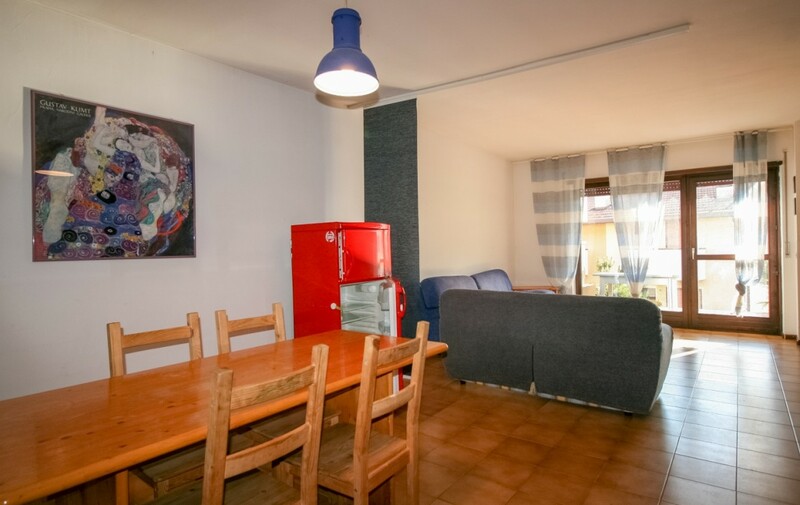 Currently, the apartment is used mainly for rent, the materials and interior finishes while being in fairly good condition are typical of the eighties and would, therefore, require modernization and adaptation to modern standards. 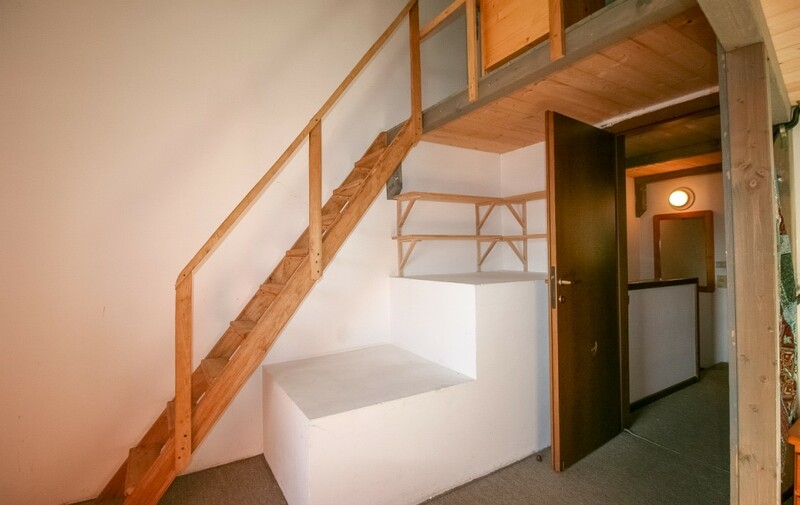 The housing solution, which also includes a private parking space in the condominium garage, lends itself to multiple uses and end users, can be the ideal solution for those who want a house to live permanently, to spend the holidays or as an investment with excellent yield prospects.